Frightfully delightful surprises are brewing at the Metropolitan London. In the spirit of Halloween and for the love of the Brit’s afternoon tea staple, turntable gurus the Broken Hearts have dreamed up their “Scream Tea Spooktacular” at the swanky Met Bar. Topping the 2009 ‘cool lists’ of the UK’s Elle, Grazia, and The Guardian, the Broken Hearts’ Nisha and Amber are renowned for their uncanny DJ-ing abilities and their equally unique senses of style. To the tune of an exclusive Broken Hearts handpicked soundtrack, the hyper-chic Met Bar’s ever-popular “Afternoon De-Light” will offer a new seasonal menu of tasty ghoulish creations. Choose from delectable selection of the legendary low-fat cupcakes, spooky bat-shaped cookies, and edible artwork by illustrator of oddities and lover of the macabre, Rob Flowers. Indulge in a pumpkin cupcake (or two!) from 3 PM to 6 PM daily, October 26 to November 11. Don’t miss the Broken Hearts on October 29 when they DJ the Met Bar’s Halloween Party “Death on the Dancefloor” starting at 8 PM. Hurry and snag your spot on the V.I.P. list by contacting Jamie.holloway@metropolitan.como.bz. Already dreading the coming winter doldrums, Christmas sweaters, and endless shopping lines? Get away (far, far away) and put the cheer back in the holidays with Uma Paro’s festive offering. Guests can prepare for the New Year with this five-night, personally-guided itinerary. 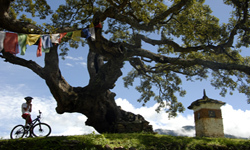 Spend the day mountain biking through the Paro Valley, exploring Thimpu (the capital of Bhutan), and delighting in the magic orange trees of one of the oldest temples in Bhutan, Kyichu Lhakhang. After a full day of adventure, come home to a COMO Shambhala traditional Bhutanese Hot Stone Bath treatment and an evening of snuggling up by Uma Paro’s wood-burning stoves – or head out on the town to take part in these spirited holiday events! December 24: Long-life puja (ceremony) at one of the oldest temples in Bhutan and complimentary canapés in the Lobby Bar with traditional Bhutanese music. December 25: Afternoon Archery Tournament and special degustation at Uma Paro’s Bukhari restaurant. December 31: Bhutanese dance performance and degustation New Years Eve dinner menu. Traditional Bhutanese music, complimentary canapés, and a champagne toast in the Lobby Bar. Five-night stays start from $3,513 single, $5,306 double. Booking must be for a five-night period starting on a date between December 20 and December 29. Attention art enthusiasts: the latest exhibit from the National Trust could pose quite the treasure hunt. The Trust’s 17th century Nunnington Hall property in North Yorkshire will showcase works from 18 different contemporary art gurus in its Past Present exhibit this season. But here’s the catch: you’ll have to search for these artistic treasures! Keep your eyes peeled upon entering each of the Hall’s rooms – original pieces of Nunnington furniture, ceramics, textiles, or accessories are substituted with one of these modern-day masterpieces. Don’t miss out on unique works from leading artists Tracey Emin, Yoko Ono, Sarah Lucas, and Lucy Skaer among others. 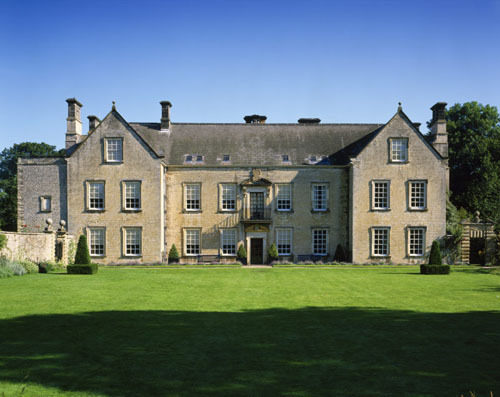 Members of The Royal Oak Foundation, the U.S. affiliate of the National Trust of England, Wales, and Northern Ireland, can enjoy free access to Nunnington Hall as well as the entirety of the Trust’s properties year round. Challenge yourself to explore all of the 300 historic houses and gardens, 700 miles of coastline, and 620,000 acres of countryside, for only $55 per person or $90 per family. Make sure to head on over to Nunnington and peruse the following Past Present highlights from now to November 1st. Sarah Lucas has glued Marlboro Lights cigarettes onto the surface of a plastic garden gnome, producing a combination of innocent ornament, sexual title, and harmful tobacco to convey a dark humor. This piece is shown within the setting of the rich, dark-green-paneled room that served as Colonel Fife’s smoking room in the 1920s. Conceived as a pacifist statement, particularly taken in context of the Vietnam War, Yoko Ono’s chess piece opponents sit on each side of an all-white board, making the warring factions indistinguishable from one another. The homely Drawing Room at Nunnington was where Margaret Fife and her family would relax and play games. In wool, cotton and felt, Tracey Emin created a bedcover which was originally not intended as a work for display but to serve as a bedspread in her hotel room. At the time it was made it reflected her feelings about America, mining the archive of her life story. It is displayed on the antique four-poster bed in what was used as Nunnington’s principal bedroom. An oak table inlaid with mother of pearl in the image of a pair of grasping hands, is displayed in Nunnington’s ‘haunted’ bedroom, which contains an adjacent oratory that was used for prayers. Lucy Skaer’s work explores time, mortality, photographic imagery, history and chaos and is part of a series of pieces focused on Surrealist artist Leonora Carrington and the name of a Tarot card. Exploring the theme of memory through family photographs, a fishing line depicts photographs and text as a substitute for names and dates in a family tree. When lit, the images are projected onto the wall behind. They are not about any one particular family but rather provide a formula that could be applied to any family. Breathe in…breathe out…breathe deeply. Thousands of yogis and yoginis around the world practiced their pranayama last weekend in celebration of the Global Mala Yoga for Peace Project. Founded by Shiva Rea, the project brings together the worldwide yoga community for two days of yogic celebration, spanning borders and yoga disciplines in honor of the United Nations International Day of Peace. Here in New York City, AMPRers unleashed a sea of ujai and performed countless reps of urdhva mukha svanasana at exhale, where a group of nine instructors heralding from different practices and backgrounds guided nimble students through sun salutations A and B… 108 of them! If you missed this year’s Global Mala Yoga for Peace Project, be sure you mark your calendars for next September’s autumnal equinox. Om shanti. Who says you have to be a celebrity to go on a wellness retreat? Anantara Si Kao Resort & Spa in Thailand thinks everyone deserves some serious R & R, so they have designed two Wellness 360 Sentiré Retreat Packages that, from October 5-12th and 12-19th, include 7 nights for the price of 5. Experience the powerful rejuvenating effects of Pilates with renowned A-List instructor Kirstin Ferrie, personal trainer to Sarah Ferguson, Duchess of York. A ten-year veteran of the craft, Kristin is the first teacher from the UK to be gold certified with the Pilates Method Alliance. Take daily yoga class and learn to meditate with Kate Guthrie, who is known for her creative, playful nature and relaxed classes that are accessible to students of all levels. Whether you need some deep-tissue work or want to try traditional Shiatsu massage, Dale Husted is your man. After an hour of his hands, you’ll be completely energized. And don’t forget your consultations with Naturopath Dr. Gopal and Ayurvedic expert Kavitha Hulmani. They’ll enlighten you about holistic medicine and the body’s ability to heal itself. All this learning could work up an appetite, but who wants to ruin their new training with a burger and fries? Anantara has thought of everything; this package also includes a cooking class with Kelly Brennan, the resort chef, who will instruct on how to prepare “wellness” cuisine. For more package details, see our original post. There’s a new chill to the wind, with autumn just around the corner, but you can still work up a sweat with these three heart-pumping fitness programs from Crystal Cruises, Anantara Resorts & Spas and COMO Hotels. 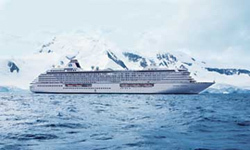 Crystal Cruises: Illustrating its commitment to offering innovative wellness programs, luxury specialist Crystal Cruises is introducing Nordic Walking, fitness walking with lightweight poles, aboard its ships. Through an exclusive new partnership with LEKI USA, a leading manufacturer of skiing, trekking and Nordic Walking Poles, Crystal continues to break new ground in fitness options at sea. Specifically designed to engage the entire body, the Nordic Walking poles will be available complimentarily to guests aboard Crystal Symphony and Crystal Serenity this October. Nordic Walking Poles specialist Rick Deutsch will be on board Crystal Serenity’s October 8 cruise from Athens to Venice, and Crystal Sympony’s October 19 cruise from New York to Montreal to teach the opening classes and train the ships’ fitness instructors, who will lead demonstrations on following voyages. Anantara Madives: Surf’s up dude! Hang ten and conquer the wild waves with the Anantara Madives’ 5-star service ‘Ticket to Ride’ program. Anantara Resorts & Spas has partnered with the award winning Australian company Tropic Surf to offer an unforgettable experience for all – from beginners, to intermediate and advanced surfers. Your surf-pass entitles you to quite the package: two dhoni boat transfers per day to your designated surfing area, as well as expert guides, board valet, surf reports, movie and information nights, and more. The lessons are intimate, too – only eight surfers are permitted to book the program at any one time to ensure personal, one-on-one coaching and safe, un-crowded seas. Make sure to book in advance to save. Depending on which program you choose, costs can range from $175-$990 for prepaid bookings prior to your arrival, and from $195-$1,120 for payments at the resort. COMO Hotels: COMO Hotels’ exclusive, luxurious, and life-changing yoga retreats are taught by top yogis in unbelievable settings. Judy Krupp, who led a retreat at Uma Paro in July, was the returning guru this year, joined by newcomers Elena Brower and Sarah Powers. The workshops provide nearly five hours of daily practice with the masters and are held at COMO Shambhala Estate in Bali, Parrot Cay in Bali, and Uma Paro in Bhutan. Students at all levels have unparalleled access to these yoga rock stars, as well as to the renowned COMO Shambhala Retreat spas. The weeklong programs include six nights accommodation, most meals, and airport transfers. Single occupancy rates start at $5,681 at Parrot Cay, $3,515 at The Estate, $4,668 at Uma Paro; and double occupancy rates begin at $8,669 at Parrot Cay, and $7,056 at Uma Paro. All three properties offer daily yoga classes, as do most other COMO Hotels including Cocoa Island in the Maldives, and Uma Ubud, also in Bali. Daily Pilates classes are also offered at COMO Shambhala Estate and Parrot Cay. Latvia – Although economies and consumers continue to feel the pinch of the global recession, ESPA Riga offers a haven for discerning wellness travelers to experience a charming destination and opulent new spa facilities. At .49 LVL (Latvian Lat) to $1.00 USD, ESPA’s internationally renowned treatments and wellness programs are a fraction of the price of those in the U.S. For example, an ESPA De-Stress Retreat (three hours) at The Peninsula Spa by ESPA, New York costs $585. ESPA Riga offers Day Programs (three hours) for about $327 (160 LVL). An ESPA Men’s Purifying Facial, Shoulder, Neck, and Scalp Massage is $195 at The Peninsula Spa by ESPA, New York and only $112 (55 LVL) in Latvia. ESPA Riga opened late spring 2009 in an unparalleled six-story spa building. The impressive landmark exterior was originally created by well-known Latvian Architect Konstantins Peksens. Inside, the contemporary spa design showcases ESPA’s signature feature: an uncompromising attention to detail. Inspired by the opposing elements “Fire & Water,” the spa’s palette of deep colors and shimmering details throughout. The stunning six-story spiral staircase, covered in black Cristallino tiles and bordered by a gold mosaic, serves as a focal point of the spa. The spa’s range of Ayurvedic-influenced treatments use ancient techniques of marma point massage and herbal medicinal oils to treat the body’s Dosha and restore balance to mind, body, and spirit. In addition, ESPA created a selection of highly effective signature treatments specifically for ESPA Riga that includes the use of amber, the precious stone of the Baltic Sea. Riga is one of the key trading ports of the Baltics and is traditionally known as a trade and business hub between East and West. Leisure travelers enjoy culture, history, breath-taking architecture, and now, world-class spa experiences. 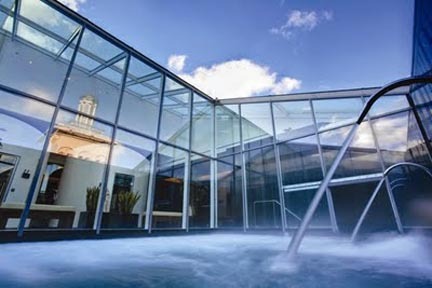 As, ESPA’s first stand-alone spa, ESPA Riga is not connected to a hotel, but ESPA’s preferred accommodations are at Reval Hotel Elizabete. For further information and to purchase products, please visit www.espaonline.com, or call 1877 ESPA USA. 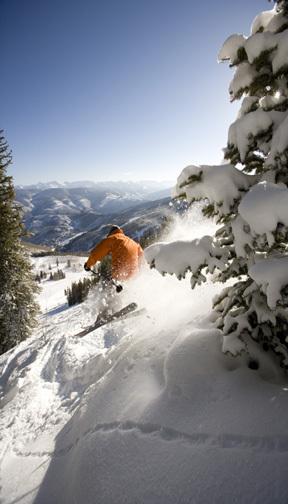 Not looking forward to packing the beach gear or the skis this holiday season? These unconventional end-of-year getaways will scratch the travel itch. Rounded up here are cozy and kid-friendly locales for families, unique spots for adventurers and enriching destinations for those craving cultural stimuli. WHY: Because a trip to the English countryside with a family membership in the Royal Oak Foundation to see old castles and gardens (for free!) could just be the best present for the Harry Potter-loving kids (or parents). Emley Farmhouse in Surrey sleeps up to 10 and has a traditional country kitchen, perfect for that big Christmas dinner. A three night stay starts at $740.35, a seven night stay, $1416.75. 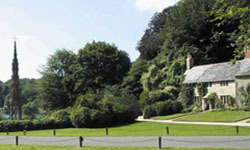 89 Church Lawn in Wiltshire sleeps up to seven and has exclusive access to the National Trust’s stunning winter gardens. You can even go fishing in the beautiful lake. A three night stay starts at $590, a seven night stay, $1065.50. Abermydyr in Wales sits on the banks of the River Aeron and sleeps up to six. Brings the kids here for the Christmas food and craft fair at Llanerchaeron, a Trust protected gentry estate. A three night stay starts at $493.50, a seven night stay, $957.30. WHY: Christmas dinners, a Children’s Party for New Year’s Eve, and Dad treating Mom to a Festive Foam Bath with winter aromas and champagne all conspire for festive fun. DETAILS, DETAILS: Splash Hour at the pool, the Zurich Zoo and the St. Beatus caves will thrill the kids, and fitness classes, Turkish baths, and professional childcare will restore their parents’ sanity. Rates start at $877 per night for double occupancy. WHY: It feeds the craving for sun while heeding the call of the wild. DETAILS, DETAILS: Home to one of Abu Dhabi’s largest Arabian wildlife conservancies, guests can go hiking, snorkeling, kayaking, take a game drive, or learn archery. Double occupancy rates start at $537 per night; book at least 30 days in advance to receive a 15% discount. WHY: Because hiking to a Buddhist monastery sure beats waiting in line at a department store with frantic holiday shoppers. DETAILS, DETAILS: One of its many active adventures includes a trek to Tiger’s Nest monastery, located in the sheer cliffs 2,700 feet above Paro Valley and a peaceful orchard picnic with spectacular views. For the month of December, double occupancy rates start at $330 per night. WHERE: Crystal Cruise’s Symphony departs from Buenos Aires, Argentina to Valparaiso, Chile. WHY: Due to an upcoming ban on cruise ships in the Antarctic Ocean, this will be Crystal’s final voyage to the area. DETAILS, DETAILS: In addition to visiting amazing locales in South America, six thrill-seekers will take the rare overland trip to Antarctica to see remote villages, a petrified forest, and a penguin breeding ground. Rates start at $8,995, double occupancy. WHY: It will be impossible to miss the carolers when exploring Djemma El-fna, a square in the historical district of town known for having the best musicians, dancers and storytellers. DETAILS, DETAILS: When in this city of cultural fusions be sure to visit the Koutoubia Mosque, the Saadian Tombs, and the largest souk (traditional market) in Morocco to bargain for spices or clothing or tea pots. Riads start at €1,500 a night. WHY: What better way to start the year then with the New Year package’s complimentary massage on the first day of 2010. DETAILS, DETAILS: Guests will see the village decorated with traditional bamboo poles and banana leaves and enjoy a Balinese-inspired New Year’s Eve dinner, followed by a cocktail party with DJ at the pool bar. Rates start at $260 per night, double occupancy. WHY: Utilizing those new Thai cooking skills back home will keep the post-holiday gloom at bay. 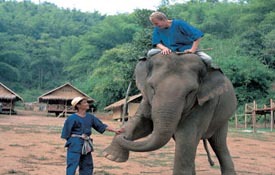 DETAILS, DETAILS: The cooking lessons are just the beginning of the cultural immersion; at the Elephant Camp (part of the Thai Elephant Conservation Centre), a 30-minute lesson will teach adventurers to drive an elephant. Rates start at $520, double occupancy. Find yourself on Nantucket some Saturday morning? Lucky duck. 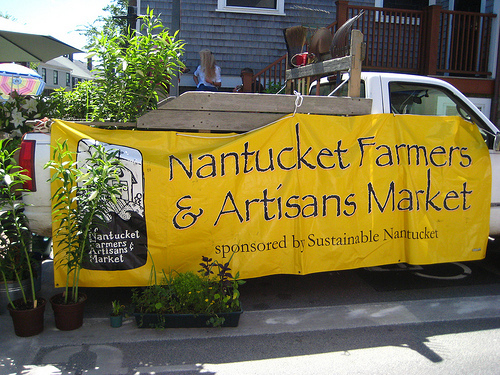 Do yourself (and the island) a favor and wander over to the Nantucket Farmers & Artisans Market, happening each Saturday through October 17 from 9 am to 1 pm. Cambridge and North Union Streets, right by the Starlight Theater, are closed to cars for the market. Spotted this past Saturday was Karin Sheppard of Island Weaves, with her beautiful blankets of alpaca, silk, and mohair, David Berry of Nantucket Honey Bee Company with his light and dark honeys (the color changes depending on whether the bees are pollinating summer or fall flowers), and Dylan Wallace and Claudia Butler of Nantucket Native, with their organic fruits and vegetables – and chocolates. There were plenty more stands, all full of locally made and grown goodies. A tip for those who wander in unprepared: there’s an ATM around the corner, on the bottom of Main Street. If you want to book a trip to the island this fall (one of the lovelier times to go), check the Nantucket Island Resorts website for the latest “Hot Dates, Cool Rates” offers.